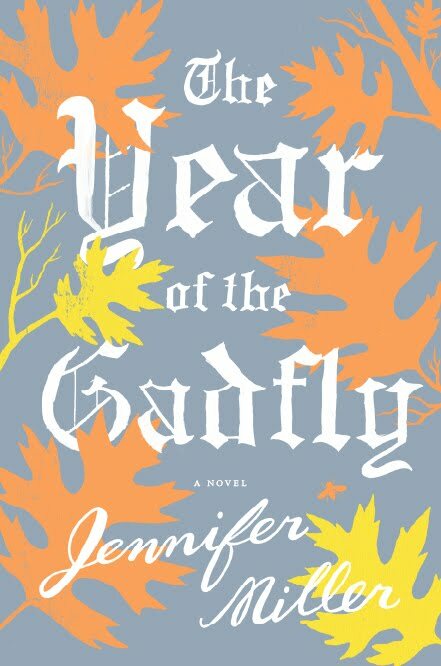 Long and Short Reviews welcomes Jennifer Miller, author of The Year of the Gadfly, which releases tomorrow. Jennifer will also be at Water Street Books in Exeter, New Hampshire, on Thursday, May 10, at 7 PM for a reading from her new work. If you are close, stop in and tell her hello. The original title for The Year of the Gadfly was "Extremophile." "Extremophiles are micro-organisms that exist in extreme environments--like in thermal vents or under intense pressure at the bottom of the sea," Jennifer explained. "One of my main characters is a science teacher who got his PhD in microbiology studying extremophiles. In the book, they become a metaphor for adolescence: our teenage years are often the most extreme time in our lives." She's working on a new novel about the daughter of a Vietnam Vet whose fiance comes back from Iraq with PTSD. Her protagonist, Becca, ends up on a motorcycle road trip with her father and his war buddies. They are traveling to compound in the Utah desert to visit a man who may or may not have the heart of a Hindu god embedded in his stomach. It's based on a story Jennifer wrote for the New York Times about a group of bikers. "I rode across the country with them on the back of a motorcycle in 2005. They were called Rolling Thunder. At the time, I was the only female along under the age of 25, the only Jew, and one of like two democrats," she told me. "It was a strange and fascinating experience. The men were mostly in their late fifties and early sixties and they were very protective of me. They made sure I wore sunblock everyday and even took me to buy a leather pony tail cover so that my hair wouldn't get too tangled. They're some of the best people I've met, though they have very different stories from their years in the war. I had a lot more material than could fit into a 1700-word article, so I'm turning it into a novel." Jennifer is a journalist as well as a fiction writer, so much of what she writes has its basis in her reporting experiences. The Year of the Gadfly is partially based on the death of her high school boyfriend. To create a character similar to him, she interviewed all of his friends and his parents. "I even read articles he'd published in science magazines before his death--and it was one of those articles in which I first learned about extremophiles," she said. She spends a lot of time brainstorming with her husband, talking through various plot scenarios and character traits. She will also make timelines of plot elements. "My characters are often composites of people I've met throughout my life," she admitted. "For example, the character of Jonah Kaplan in my book is physically based on a kid I went to elementary school with (the pale skin and wild, orange hair), while his personality is based on my brother's (his cynicism and love of science)." Jennifer writes full time and splits her day between fiction and journalism. She has a small office in her Brooklyn apartment. The desk sits directly in front of a large window overlooking the tops of some low-slung apartment buildings and a church spire. "There are also trees and I can sometimes see into the windows of my neighbors across the street. There is a teenage girl who sometimes sits by her window doing her homework. It makes me feel good to know that there are people living their lives--and writing--all around me," she said. "The walls of my office have a framed New York Times front page with the enormous headline: 'Nixon Resigns.' I try to get in about five hours of writing time a day, but if I'm in the middle of a revision I'll end up sitting at my desk until eight or nine pm. I often need to get out of the house in order to motivate, so I'll circulate through a handful of coffeeshops in my neighborhood. Being around other people who are also working helps keep me focused. There are two pitfalls in working away from home. First: I generally eat my way through the day (also to keep myself motivated!) and coffeeshops get expensive. Second: people don't seem to realize that a coffeeshop is NOT an actual office and when they take extended business calls, I have to start giving them the stink eye." Jennifer finds two things hard about writing. First is whether or not she will sell the book or magazine article she's working on. "I'd like to tell you that I can do this just for the fun of it, but I'm trying to make a career as a writer, so it's not just about fun but also earning money," she said. "So far, I've been lucky to earn money writing in formats and about topics that are inherently interesting to me--though it hasn't been steady since I started. After my non-fiction book, Inheriting the Holy Land, came out in 2005, it took another five years for me to sell the the next book--The Year of the Gadfly. The other difficult thing about writing is feeling limited in my abilities. I have a certain style and it's very hard to break out of that style or move past it even if I really want to. " "Have you ever eaten a crayon?" I asked. "I have never eaten a crayon, thought it's funny that you include this question. One of my favorite moments on Sesame Street (or possibly Mr. Rogers) is a segment shot in a crayon factory. You see all the different colored waxes being melted and I remember always wanted to eat (or, I guess, drink) those!" Jennifer kind of floated between groups in high school, because her school didn't exactly have popular and non-popular crowds. Their groups were definite by their physical hangout location in the school. "Some of these corresponded with social activities--so the techies hung out on the third floor (but there were also actors up there as well as non-techie kids who played magic cards.) The kids who were more preppy hung out in the school lounge, but then again, so did the kids who wanted to sit on actual couches instead of on the floor (which most of us did because my high school had no cafeteria and was really lax on the rules). Some of my friends were in the lounge. Some of them had a spot outside the language department on the first floor and another group had a spot on the second floor outside the library," she told me. "In The Year of the Gadfly, social group and social standing is directly equivalent to where kids hang out, so the so-called losers hang out in the school basement, known as The Trench." When the weather is nice, Jennifer loves to take very long walks while listening to podcasts. She also likes to shop, even though a lot of the time she ends up not buying anything. "I just like the variety of looking at clothes and styles and feeling like I could wear them all even if I won't," she said. "I watch way too much TV, which has been a problem since I was a kid. Only now that I make a living out of literature, I don't feel nearly as guilty about it. I think The Wire is the best show ever made for television. I know of no other TV show that is so realistic and engrossing. Stop whatever you are doing right now and go watch it. I'm also a fan of The Office, 30 Rock, and Community--basically the Thursday night lineup. Oh, and Mad Men and Friday Night Lights are also fantastic. Such great narratives." "Being a successful writer is a combination of two things: talent and perseverance. I believe they are closely connected. Sure, there's innate talent, but the more you write, the better writer you become. The more you read and study how other authors develop their characters and plots, the more you learn about how to create your own great fiction. It's a question of devoting yourself to the task. As long as you stick with it and don't let yourself become discouraged to the point of giving up, then you will become a good writer and you will achieve success. The Year of the Gadfly took me six years and multiple drafts to write." 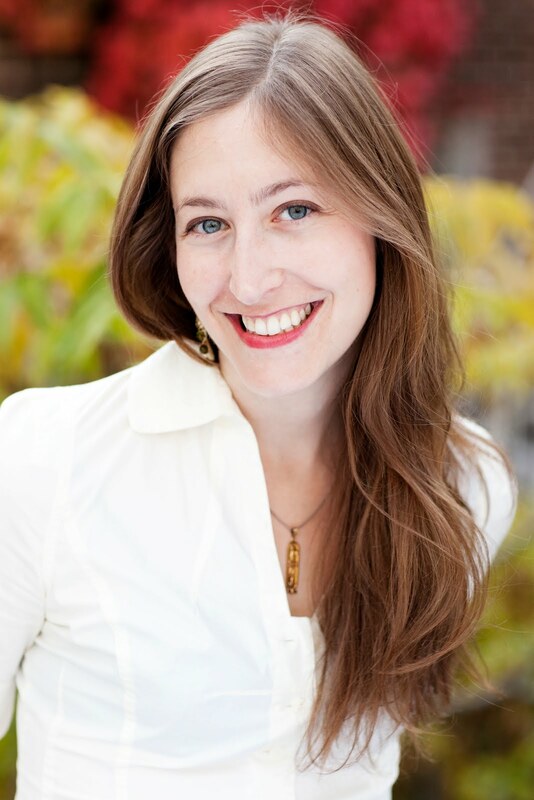 Jennifer Miller is author of The Year of the Gadfly (Harcourt, 2012) and Inheriting The Holy Land (Ballantine, 2005). Her journalism has appeared in The New York Times, The Washington Post Magazine, Christian Science Monitor, Marie Claire, Men's Health, Smithsonian.com, Salon.com, Guernica.com, the Columbia Journalism Review, The Millions and the Daily Beast. Jen holds an MFA in fiction-writing and a MS in journalism from Columbia. She is a native of Washington, DC and currently lives in Brooklyn, NY, with all the other writers. Iris Dupont is a teenage reporter who communes with the ghost of Edward R. Murrow. Jonah Kaplan is a failed microbiologist-turned biology teacher who is haunted by the ghosts of his past. Each embarks on a private investigation to uncover a secret society in their remote New England town. As Iris and Jonah's paths start to intersect, they are drawn into the darker corners of their town, their school, and their own minds. Great interview. Lots to think about. ThanQ U Ms. Miller 4 gracing us with ur Fabtaulous presence...UR words of encouragement sends a message that speaks heartfelt beauty of the kind of person U R unselfish and most of all a great Women that gives her all...God Bless U!!!! !